Have you been turned down for implants? 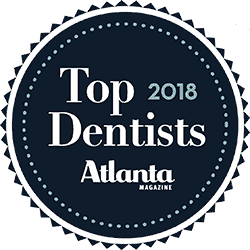 Due to his high degree of training and specialization, Dr. Pumphrey is able to offer solutions for patients who would not otherwise be candidates. These solutions include bone and tissue grafting and effective treatment of periodontal disease. There are many factors that our doctors will consider prior to recommending a treatment plan that includes dental implants. They will evaluate your bone density and support, the condition of your gums and your overall health. They’ll used advanced technology to locate the position of your sinuses, blood vessels, and nerves. Our in-depth consultation will let us evaluate whether you are a candidate for dental implants and the treatment plan that will best fit your situation. Previously, patients who had too little bone were not able to receive implants. But the high-tech 3D dental CT scans that we have in our office have changed that, allowing us to find bone support that otherwise can’t be located using traditional x-rays. In addition, bone grafting techniques have become simpler with the use of your own growth factors that we can easily extract from a small amount of your blood. We also keep a wide variety of bone grafting materials in stock, so that virtually anyone can benefit from dental implants. And with our lifelike software, we can literally design your implant case before your eyes on the computer monitor. If you would like to schedule an examination, just give us a call or use our online appointment request form.